I am told that I have been on Cape Cod since before I was born. Born in November of 1954 my parents told me stories of the impact of hurricane Carol to Harwich Port as they were staying at a family cottage in what we today call the "campgrounds". The Cronin family came back summer after summer even while moving between New York on two occasions, Illinois on 2 occasions, Connecticut, Missouri & Indiana . The sole constant was the Cape. Needless to say I was motivated to find a way to move to the Cape and it eventually happened. But first... after finishing high school at Lake Forest HS in Illinois I attended freshman and sophomore years at the University of Illinois. My family then moved to New York so I joined my brother Sean and sister Deidre at the University of Massachusetts in Amherst and from there I graduated. I then attended Iona College in New Rochelle NY for a spell in their graduate business school. My first real job, (washing dishes at the Sword and Shield and working summers for the Harwich highway department don't count) was with AMTRAK starting in New York City then moving to Washington DC. , more precisely, Old Town, Alexandria, Virginia where my precious daughter Kelly was born. Today Kelly (now Kelly Bicknell) has her own successful kellycronin photography business here in Harwich. My lovely wife Patty and I take great pleasure in Kelly's children and our 4 grandchildren. You just can't imagine how much we enjoy those kids! In 1985 I moved to the Cape. Thanks to a family friend, I was able to embark on numerous real estate ventures . These included subdividing industrial lots on Queen Anne Road, subdividing the land which became Cranhaven Circle, Shamrock Circle and Kettle Pond Drive, all in Harwich. By 1988 I had finished completely renovating what was known as the Old Kemah Inn and Restaurant in downtown Harwich Port. This is where I opened a new Real Estate office from start and named it Commonwealth Associates Real Estate where for the next 27 years I along with my wife Patty Cronin operated our business specializing in second home Buyers and Sellers. At the same time we established and grew the largest vacation rental program in town. In January of 2015 we merged Commonwealth Associates with the best Real Estate firm in the business, William Raveis where Patty and I are recognized as The Commonwealth Group. This biography would not be complete without a discussion of my interests. I like to fish. I especially like to fly fish for striped bass on the flats off Monomoy not to mention bonefish in the Bahamas. I like to take my boat to Monomoy with the family. I like to tuna fish with friends who have a bigger boat than mine. I am an avid fly tyer. I enjoy reading novels and books on history. I like to cook and even try fancy meals as often as possible. I like to stay physically fit and you'll see me regularly at Body Strong in Chatham. I enjoy my vegetable gardens. Finally I enjoy a simple evening at home with my wife Patty, the other half of The Commonwealth Group or having the grandchildren over to play. There is so much to be said about Cape Cod's Quality of Life and let me assure you that my enthusiasm for the Cape is something I treasure and I hope YOU as Buyers and Sellers will see fit to work with me whatever your Real Estate objectives might be. 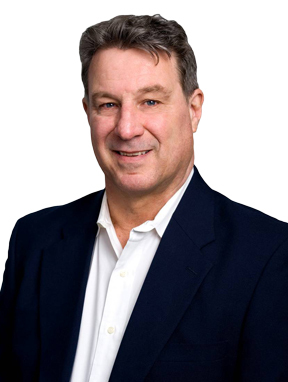 Owner/Broker of Commonwealth Associates Real Estate 1988 to 2015. Developed numerous subdivisions in Harwich. The Villages of Harwich, Chatham and Dennis. Specialize in vacation homes or second homes as well as homes for retiring and Antique properties.